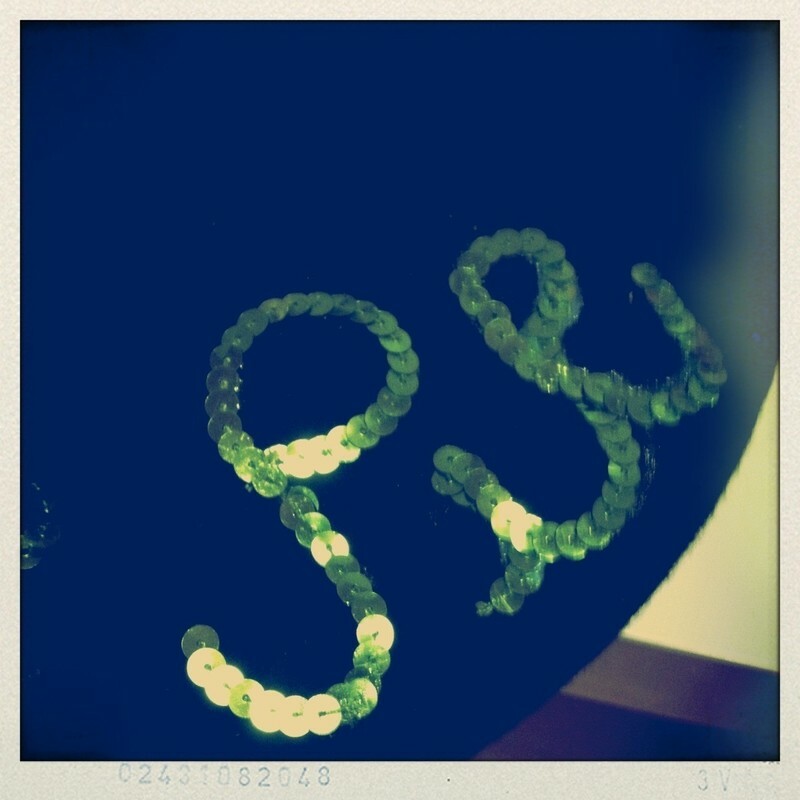 For me the hardest thing in this project, was to come up with the overly cute text for my beret. As you can see, I tried and tested diffrent text choices in very different occations. Pet names will do creat. But since pet names are not so commonly used here in Finland I just blindly had to come up very any kitschy sounding overly cute word pair. 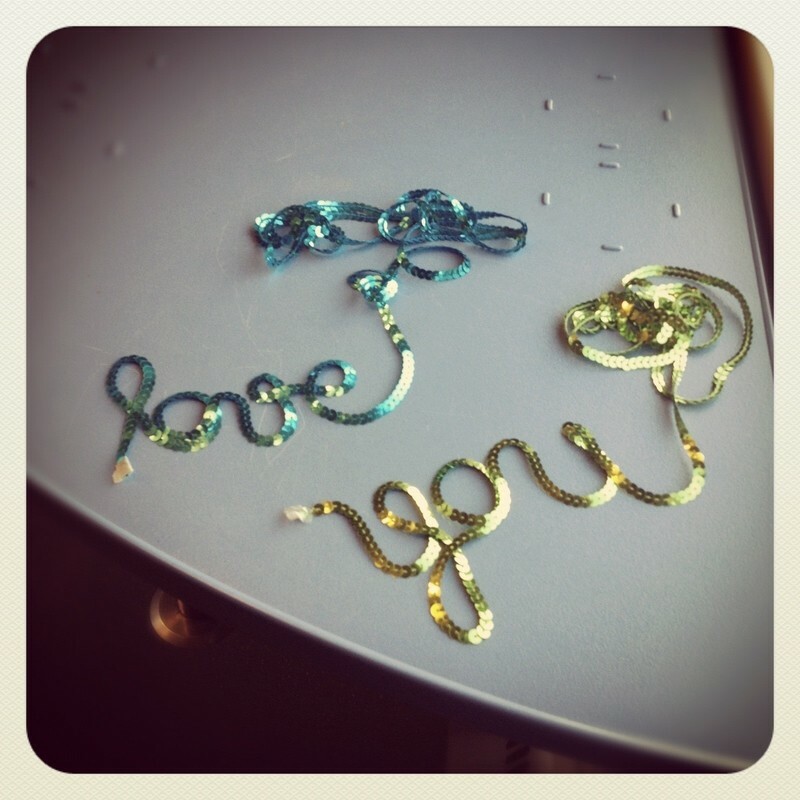 It will be very usefel to try out text with sequin to figure out how sequin will behave when you will write the text with it. 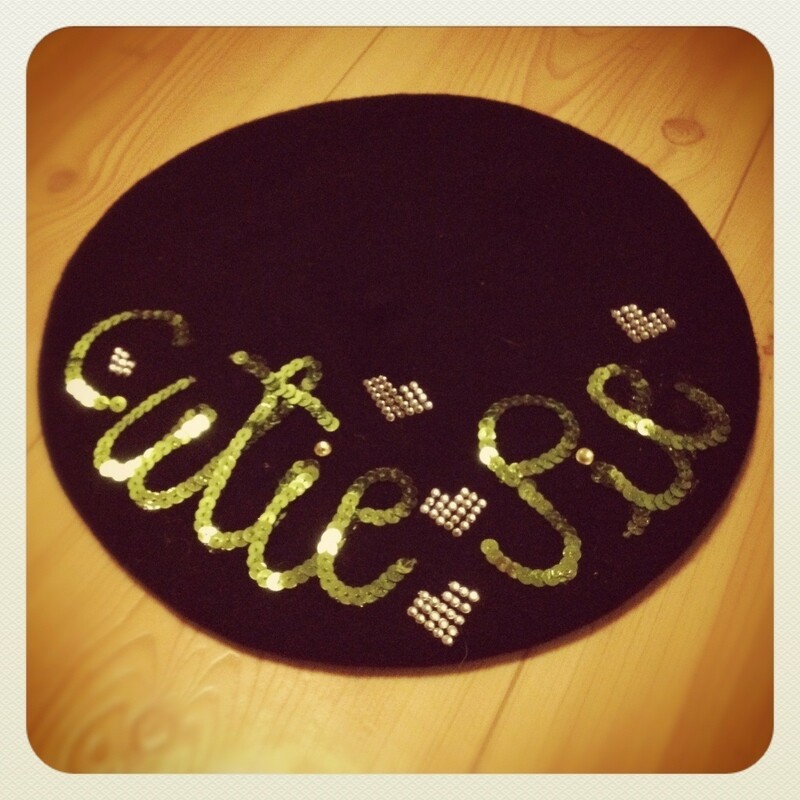 'Sketch' your text desing on to beret with the sequin trim before glueing it on. after you have found right placement for the text, glue it on. Try to remove all the extra glue that might go 'away* from sequin trim text lines. Then leave the baret for 12 hours so the glue will have enough time to dry. Remember to let the glue dry.